We Have Warehousing Facilities Of Over	100,000 sq.ft	most of the items are available ex stock in our warehouses. In addition, we offer our clients the convenience of executing deliveries anywhere in the U.A.E. and additionally, make arrangement for export to other countries. The customer is the most important factor in our business. They are not dependent on us but we are dependent on them. They are not an interruption to our work and nor are we doing them a favour. Customers are the purpose of our work and are doing us a favour by giving us an opportunity to work with them. Celebrating over 35 years of supplying the electrical industry Gulfwide. Phoenix Trading Co. LLC has its humble beginnings in 1978 when it was established in Dubai UAE by our Managing Director- Mr. M.G.Pushpakaran. With a strong core team of dedicated personnel committed to meeting the energy and in particular the electrical requirements of this progressive nation, the focus has always been on bringing world class technologies that will meet the growing energy demands. In the process, relationships have been established, a vast amount of knowledge has been gained and brands built. In 2013, we as Phoenix celebrate our 35th anniversary with pride in what we have accomplished as a company, enthusiasm for all that's to come in the future and gratitude in particular to our customers, partners and employees who have made our success possible. Because of the pivotal role we play in bringing global expertise locally, Phoenix is committed to creating and maintaining powerful customer relationships built on a foundation of trust and excellence. Our integrity, dedication and strong belief in professional business ethics coupled with our industry specific knowledge, experience, and relationships established over the years, are qualities still valued and sought by many of our customers to this day. This experience and knowledge is what gives you comfort in knowing that when dealing with Phoenix, these exceptional qualities are working for you. We thank all our customers and partners who have remained loyal to us through the years. These alliances form not only the cornerstone of our continued business but also demonstrate the continued faith in our history and our future while catering to the requirements of the electrical industry Gulfwide. 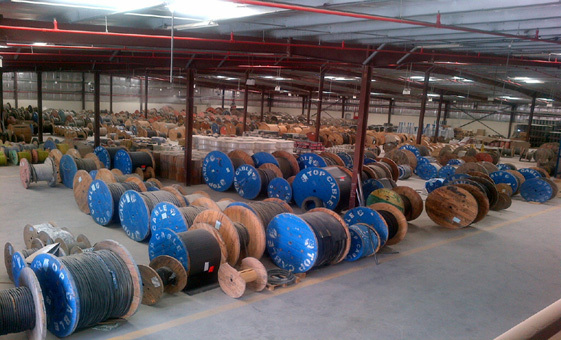 Since our inception in 1978, Phoenix has always striven to meet and exceed industry requirements as a supplier of electrical cables, accessories and related products to our customers. Our centralized storage facility located in Al Jurf area in Ajman, covers over 100,000 sq.ft of covered space and is home to most of the inventory that we carry. By understanding our customer's needs we are better able to meet and exceed them.This allows us to constantly review and update our products and services. While complying with various international auditing and certification requirements over the years, in 2003, Phoenix was one of the first trading companies in the UAE to become ISO certified. In 2012, our management system has been once again assessed and is found to be complying with the requirements of ISO 9001:2008. Being an ISO certified company reinforces our commitment to providing services to the satisfaction of our clients and also enables us to continuously upgrade the quality of our activities and services. With continuous quality improvement programmes in place, we aim to meet and exceed customer expectations every time. With over three decades of successfully serving our clients, we have earned a reputation for being a trusted and reliable source of electrical cables, accessories and related products. With Phoenix, you can be assured of product and service excellence with access to the most extensive range of high quality products. We work together with our partners and foster long-term relationships, that gives us access to the best of the best factories in the world. We specialize in bringing to you leading brands of quality products, from around the globe. 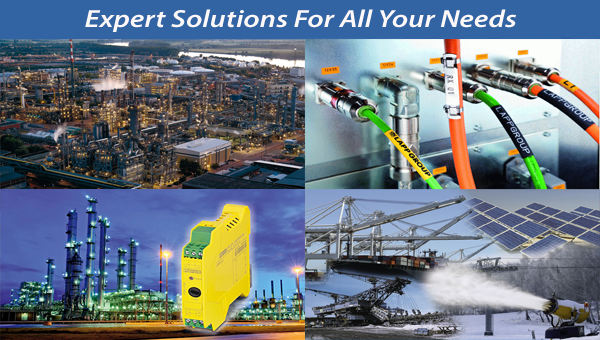 Our knowledge of market trends and emerging product innovations enables us to address the unique challenges presented by the Construction, Oil & Gas, Telecommunication, Marine & Shipping, Energy and Manufacturing industries, to name a few. Because we bring industry-specific knowledge and a strong sense of partnership to every request you make, our team of dedicated and highly trained sales specialists can help you make well informed procurement decisions. Established in 1978, Phoenix Trading Co. LLC has its headquarters in Dubai, U.A.E. Located only 10minutes away from Dubai International Airport Terminal 3, we are easily accessible to our customers in the South and Northern Emirates. Our Sharjah office and warehouse is the heart of our logistics operations and offers close proximity to all major freight forwarders, airports and sea ports thereby ensuring cost-saving deliveries to our customers. At Phoenix, our customers are our #1 priority. We work hard to make our customers successful in their markets. By understanding our customer's needs we are better able to meet and exceed them. This allows us to constantly review and update our products and services and thereby make continuous improvements in the delivery of these to our customers. 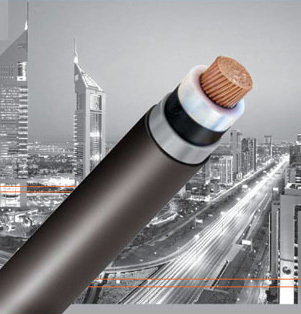 We believe that our superior customer service is the result of our integrity, loyalty and dedication that has also helped us establish a reputation as the most trusted and reliable source of world class electrical cables, accessories and related products, in the UAE. With a detailed database of over ten thousand line items of stock material readily available in our warehousing facilities that cover an area in excess of 100,000 sq.ft, our customers can depend on our broad inventory, competitive pricing and fast delivery. We offer our clients the convenience of executing deliveries anywhere in the U.A.E. and additionally, make arrangement for export to other countries.